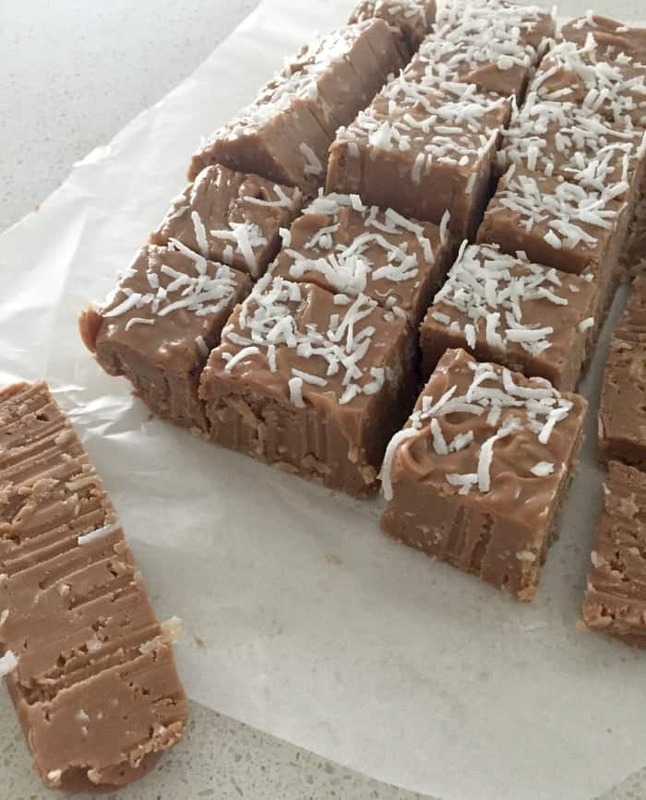 Coconut Rough is one of my favourite sweet treats so it was really only a matter of time until I turned it into a fudge. 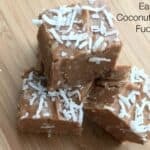 This Easy Coconut Rough Fudge is based on one of my go to chocolate fudge recipes as it’s just so easy to make and there is no liquid glucose to worry about. It does has a softer consistency than traditional fudge, and it’s really important to let it set properly in the fridge – as hard as it is resisting trying a piece! 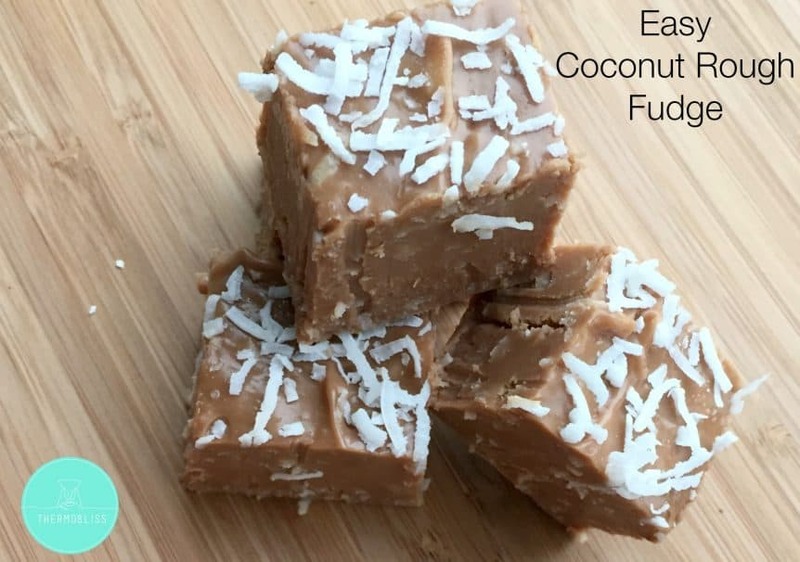 Although this Easy Coconut Rough Fudge is a great treat anytime of the year, it also makes a perfect easter gift for friends, family and teachers. 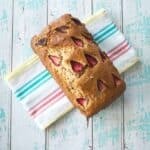 Line a large loaf baking tin with baking paper, making sure to leave some paper hanging over the edges. 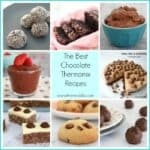 Break the milk chocolate into pieces and place in the Thermomix bowl. Add the condensed milk and cook for 10 minutes, 100 degrees on speed 3. Add 85g (1 cup) of the shredded coconut and mix for 20 seconds on reverse, speed 1. 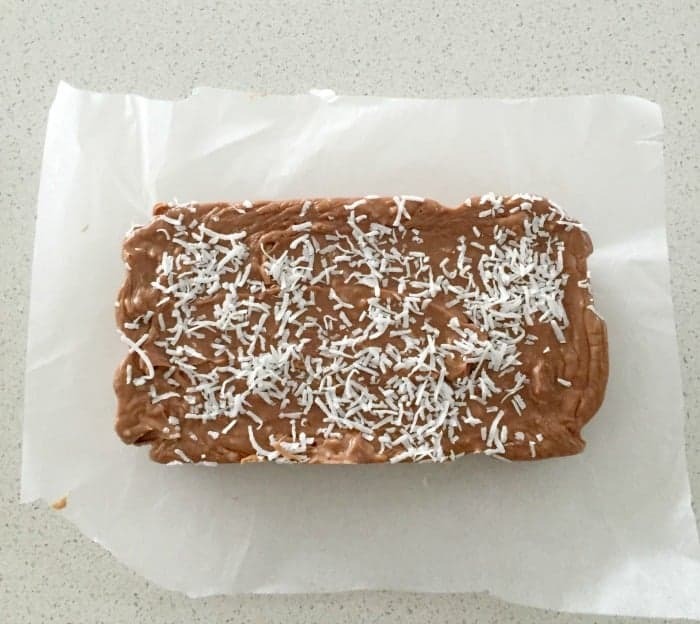 Working quickly, pour the fudge into the prepared loaf tin and sprinkle the extra shredded coconut over the top before placing in the fridge for 6 hours (preferably overnight) to set. 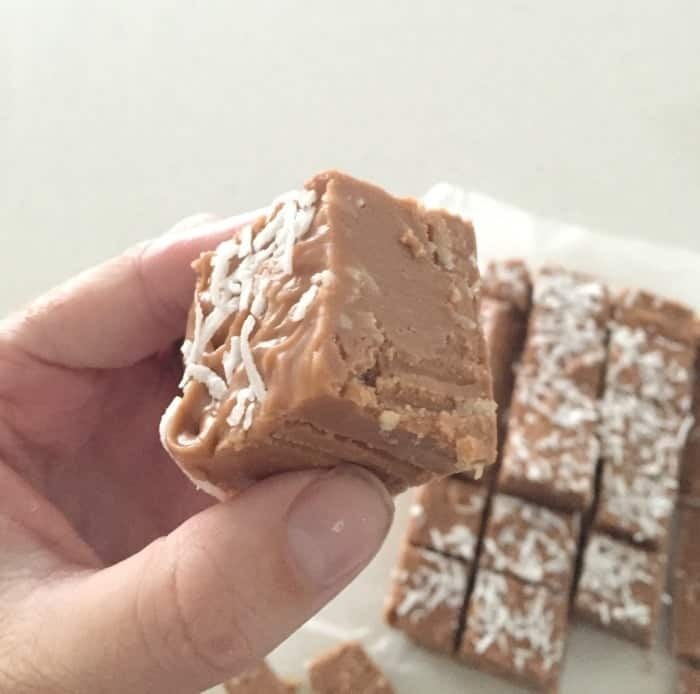 Remove fudge from the fridge and cut into small pieces. Do you love fudge too? What is your favourite type of fudge?